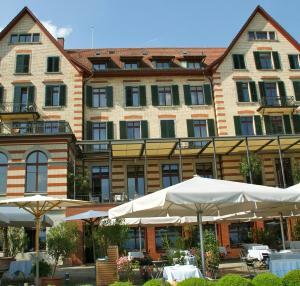 The Design Hotel Zürichberg enjoys a quiet location that overlooks Zurich and Lake Zurich. Each rooms features a B&O TV and a Nespresso coffee machine. Wi-Fi is available in the entire hotel. The restaurant & garden R21 also offers panoramic views over the city and serves light and creative cuisine with a French touch. The bar & terrace B21 serving small delicacies throughout the day, as well as coffee and pastries in the afternoons, is the ideal place to relax. The next tram stop is just 200 metres away from the Sorell Hotel Zürichberg, providing for a quick connection to the main railway station and Zurich's city centre. There is convenient parking in the hotel's underground garage.